We previously heard some leaked specifications in the new Microsoft Lumia 940 XL and now according to Evan Blass the handset will come with an Iris scanner. Microsoft will apparently skip a fingerprint scanner on the handset and have instead decided to use an iris scanner for their new flagship. 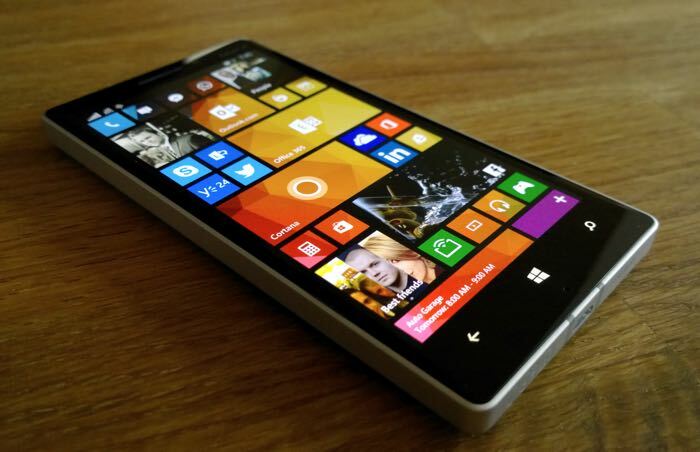 The Microsoft Lumia 940 XL is rumored to feature a 5.7 inch display with a QHD resolution of 2560 x 1440 pixels . The handset is rumored to be powered by an octa core Qualcomm Snapdragon 810 processor and will apparently come with 3GB of RAM and an Adreno 430 GPU. The handset is also expected to feature 32gB of storage and a microSD card slot which will sport 128GB cards, the device will also come with front and rear facing cameras. The front camera on the device is rumored to be a 5 megapixel version and the rear camera is rumored to be a 20 megapixel PureView camera, the device will apparently also feature a new USB Type-C connector and Windows 10. As yet there are no details on when the new Microsoft flagship Windows Phone handset will be announced, as soon as we get some more details we will let you guys know.